Nina Hülsken is the Founder and Managing Director of Cosmo Element. With over 13 years of experience working in the management for various key players in the payments industry she is well known in the European financial sector. Working with clients across the globe, she provides high-level strategic advice and oversees the implementation of a broad range of acquiring and payments projects. She works on different licensing projects with the Card Schemes such as Mastercard, Visa and China Unionpay. 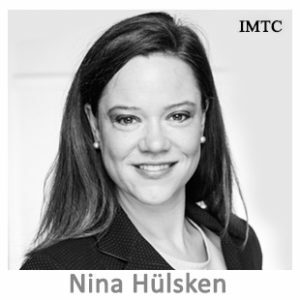 Nina also works very closely with European stakeholders on banking regulation. She has advices several Payment Institutions and E-money Institutions to become EU regulated and to be able offering their services via passporting throughout Europe. She is an appointed independent member of the Appeals Committee at the European Payment Council in Brussels.